Sometimes, charities face serious financial peril, maybe leading to reorganization through a Federal bankruptcy proceeding, a receivership under state law, or even closure. Loyal donors want to know: Will any assets be left after the creditors are paid and, if so, what happens to those assets? And in a wind-down scenario, will my true charitable intentions be honored, and who makes that decision? A substantial donor has to wonder: Is my gift in jeopardy? Reorganization under Federal bankruptcy laws was the avenue chosen by the New York City Opera and the Philadelphia Orchestra, both of which still exist, but in a reduced form. Sweet Briar College, a 115-year-old Virginia liberal arts college, announced in 2015 that it would close, then was revived a short time later after an overhaul of its governance, a $12 million pledge from a charity, along with agreement by the attorney general of Virginia and a Virginia judge to allow the release of up to $16 million from the Sweet Briar endowment. Other organizations have simply closed, among them: Federation Employment and Guidance Service (FEGS), a social services nonprofit in New York City with revenues of nearly $230 million (2015), and Dowling College, a 1,700-student liberal arts college on Long Island (2016). These examples illustrate that even large organizations may be at risk. But, as a practical matter, the risk probably is greatest for relatively small or new organizations—for example, a struggling nonprofit dance company or a fledgling social services charity. Such organizations often lack the financial reserves and public profile to weather prolonged financial difficulty. A charity’s economic problems can have a variety of causes. Perhaps the donor base has died off or moved on. Maybe there was a miscalculation about spending, or ill fortune in the stock market (as happened to many organizations in 2008), or even mismanagement or malfeasance. Although a charity’s creditors may have helped it fulfill its mission, that fact can be cold comfort—or no comfort at all—if some of the donated funds have to be used to pay legal fees and other costs of a wind-down. Similarly, a donor may not be reassured to know that the same board and staff who were at the helm when hard times struck may now be deciding how to distribute whatever assets remain after creditors are paid. This edition of Professional Notes considers what happens to charitable assets in times of severe economic hardship. We also offer observations about ways donors can protect their gifts against meltdown scenarios, including going to a community foundation to set up a designated fund or a field-of-interest fund, such as The New York Community Trust or its divisions, The Long Island Community Foundation and The Westchester Community Foundation. A designated fund has in its gift instrument a designation to support the programs of a particular organization or group of organizations the donor cares about. The gift instrument of a field-of-interest fund focuses on a donor’s area of interest—nonprofit theaters in Queens, for example, or afterschool literacy programs on Long Island or elder care in Westchester—without being linked to a specific grantee. Either type of fund at a community foundation can assure a donor that his or her charitable vision will be achieved, even if a particular organization closes. For charities structured as not-for-profit corporations, the process of dissolution is governed by state corporate laws, which vary to the extent they protect donated assets. In New York, for example, the required Plan of Dissolution for a not-for-profit corporation must contain a statement as to whether any gifts or other assets are legally required to be used for a particular purpose, and it must provide that any assets received or given for a particular purpose be distributed (subject to the corporation’s liabilities) as required by the gift instrument or to one or more charities engaged in “substantially similar activities” to those of the dissolving corporation.1 In other words, even assets not subject to a donor-imposed restriction on their purpose still have to be used for activities “substantially similar” to those of the dissolving corporation. The term “quasi cy pres” is sometimes used to describe this concept. If the charity is a wholly charitable trust, then principles of actual cy pres will be applied to ensure that donor intent as to purposeis maintained. Typically, an organization’s creditors became creditors because they were providing the goods and services the organization needed to fulfill its corporate purposes. It generally will be the case, therefore, that when a dissolving or terminating charity has liabilities, they will be liabilities incurred for one or more of the generalpurposes of the organization. But what if a donor imposed specific restrictions on the use of a gift—for example, creating a fully expendable fund required to be used to pay the salaries of musicians in an orchestra, or to provide scholarships to students at a school? Could the donor’s specific purposes be ignored in favor of the organization’s general creditors? The law in New York indicates that judicially ordered cy pres relief would be necessary first. But would a court grant the relief? The case law suggests a court might acquiesce if the restricted asset were a thing (such as real estate or artwork) that could be sold to another institution and subjected to the same or similar restrictions on its use, but it is harder to see a court in New York approving the use of a restricted fund to pay an organization’s general creditors—since the fund, once spent, would simply be gone, and donor intent essentially ignored. And what if one purpose of a gift is that it last forever—that it be an endowment fund whose principal2 will be held in perpetuity and generate income3 that can be spent on an organization’s charitable programs? The case law shows that New York respects the endowed nature of a gift when an organization dissolves under state law. We find that New York’s long-standing policy honoring donors’ restrictions on the use of the property they donate has greater weight than the claims of creditors. To hold otherwise would be to sanction a gap in the protection of the donors’ expressed limitations. The Legislature has provided that [New York not-for-profit corporations] must comply with the limitations imposed by the donors. Moreover, under [Not-for-Profit Corporation Law Section] 513(b), funds relating to such assets must be kept in separate accounts and reports must be made annually to members or the governing board regarding such assets… Even in dissolution, the limitations on the use of such assets [are] required to be honored… [New York’s] strong statutory enactments convince us that the Legislature has not expressed an intention, by mere omission, to temporarily render inoperative the limitations during the period of dissolution only to revive them after debts are paid. Rather, it has emphasized the view that the public places greater importance on the limitations on the use of the asset than on which entity actually holds it. Works of art were at the center of one of the most publicized bankruptcies of the past few years. When the City of Detroit entered bankruptcy, it owned hundreds of valuable works of art that had been purchased by the city and were exhibited as part of the collection of the Detroit Institute of Art. In that case, the “grand bargain” that resolved the bankruptcy enabled the art to be purchased from the city’s bankruptcy estate and preserved for continued public exhibition. The Detroit case involved exceptional facts—namely, a group of private foundations and other funders with the resources to fund the acquisition of the art from the bankruptcy estate. Art, of course, is a unique and irreplaceable asset, and the works in Detroit are of particular value and importance. The factors that saved the art in Detroit are, therefore, unusual and probably should not be viewed as indicative of what would ordinarily happen to an organization whose assets are in jeopardy because of insolvency. Yet, the Court in Friends for Long Island’s Heritagetreated a donor-restricted collection of ceramics differently than it treated donor-restricted endowment assets. With respect to the contributed collection, the donor had required that any proceeds from sale of items in the collection be deposited into a restricted fund to be used to acquire additional ceramics, establish a center for the study of ceramics, restore pieces in the collection, and pay administrative expenses related to the collection. By a literal reading of the restriction, proceeds of a sale of the ceramic collection could not have been used to pay claims of the charity’s creditors—except perhaps creditors with unpaid invoices for the restoration of ceramics. However, the Court found a way around that result, concluding that the trial court could apply the doctrine of cy pres to authorize Friends for Long Island’s Heritage to sell the entire ceramics collection to another charity “that is engaged in activities substantially similar to those of Friends,” subject to the proviso that the purchasing charity be subject to the same restrictions on use of sales proceeds as Friends for Long Island’s Heritage—but only to the extent those restrictions continued to be practicable. The Court went on to note that requiring the purchasing charity to observe the original restrictions on the use of sales proceeds might yield a more modest selling price than if the restriction could be ignored, but said “the policy behind the protection of restricted assets is strong enough to require” the preservation of those restrictions, at least to the extent they remain practicable. What happens when an individual dies with a will bequeathing money to a charity that has already been liquidated in bankruptcy (a Chapter 7 proceeding rather than a re-organization under Chapter 11)? What happens to a gift in trust, or a bequest, if a charity is instead in the midst of a bankruptcy? Two cases provide answers to these questions.In a 2002 New York case, a testator had died in 1986, leaving a bequest to the Wiltwyck School, an institution for troubled young people. Wiltwyck had been dissolved several years earlier in a federal liquidation bankruptcy. The decedent’s estate claimed that the bequest had lapsed and that the property should pass to the decedent’s other charitable legatees pro rata. The New York Community Trust objected—and prevailed. The Trust had been named by the bankruptcy court as the recipient of all of Wiltwyck’s remaining assets upon liquidation (after payment of its creditors), and the Trust argued that it was Wiltwyck’s legal successor.The Westchester County Surrogate’s Court agreed, and the decedent’s bequest was added to a fund at The Trust named for Wiltwyck and dedicated to helping troubled young people. The court said the result was “consonant with” New York policy and the quasi cy pres rules that apply to dissolutions under the Not-for-Profit Corporations Law. (The Wiltwyck case may provide a useful template for organizations contemplating dissolution, for whatever reason, but desiring to leave behind a purpose-restricted fund at a community foundation that can receive bequests that mature in the future. )In a case in Texas in 1993, two alumni of Bishop College had created testamentary trusts for the lifetime benefit of named individuals, remainder to Bishop. Bishop was in the midst of a liquidation bankruptcy, and the trust terms were silent about what would happen if Bishop were to liquidate. The trustee in bankruptcy claimed the trust assets for the bankruptcy estate, but the federal bankruptcy judge said no. By its juxtaposition of these two issues—the possibility that some of the restrictions might be impracticable for a charitable buyer of the collection and the possibility that the existing restrictions might diminish the selling price—the Court seemed to be opening the door for the trial court to use its cy pres powers to release restrictions that stood in the way of garnering a higher price for the collection. Significantly, whether a charity is a corporation or a trust, the Charities Bureau of the attorney general’s office is closely involved when a New York charity winds down or merges. 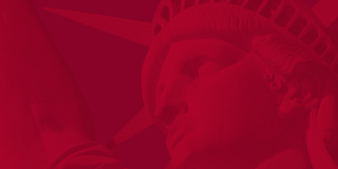 New York, therefore, has statutes, case law, and a regulatory process aimed at protecting donor-imposed restrictions (or, in the case of unrestricted gifts, presumed donor expectations about activities a gift was intended to support) when a charity goes out of business or merges into another organization. Other states can be less protective. For example, many not-for-profit corporations today are formed in Delaware, and the Delaware corporate laws that govern nonprofit dissolutions and mergers say nothing on point about the survival of donor restrictions, let alone the purposes of the original corporation in a dissolution or merger. Furthermore, the Delaware attorney general ordinarily plays no role in nonprofit dissolutions or mergers in that state. Even so, general principles of equity might be invoked to argue for the implied perpetuation of restrictions when donor-restricted assets are disposed of in a Delaware dissolution or merger. Although it is comparatively rare, financially troubled charities sometimes wind down their affairs or reorganize under Federal bankruptcy laws. In a bankruptcy, one of the core issues is whether an asset is part of the “bankruptcy estate,” and therefore available to pay creditors’ claims. The term “bankruptcy estate” refers to “all legal or equitable interests of the debtor in property as of the commencement of the case,” but does not include “any power that the debtor may exercise solely for the benefit of an entity other than the debtor” or “[p]roperty in which the debtor holds, as of the commencement of the case, only legal title and not an equitable interest…” In applying those definitions, Federal law defers to state law on issues of property rights, unless a specific bankruptcy provision or policy requires differently. As such, state property law plays a key role in determining whether and to what extent assets form part of the bankruptcy estate. State laws also are invoked in other Federal bankruptcy contexts relevant to charities. Notably, the assets forming a charity’s bankruptcy estate may be used, sold or leased by the bankruptcy trustee “only in accordance with applicable nonbankruptcy law,” and assets of a charity that is a corporation may be transferred to a non-charity “only under the same conditions as would apply” in the absence of bankruptcy. The limitation on the “use” of assets within the bankruptcy estate of a charity may lie behind the result in the In re Winsted Memorial Hospital case discussed further on. Relatively little recent case law applies these concepts to donor-restricted charitable assets. However, when the Philadelphia Orchestra was in bankruptcy (2011-2012), the principal of its endowment funds was left untouched by creditors—despite a reported shortfall of more than $90 million in its ability to pay creditors. Although there is no reported decision, the result in that situation suggests that Pennsylvania’s laws were seen as insulating endowment assets from claims of creditors. The result in Friends for Long Island’s Heritage suggests a similar outcome could be expected in the bankruptcy of a New York charity, provided the endowment funds have been properly accounted for and have been respected by the charity itself. However, a bankruptcy case involving a Connecticut charity, In re Winsted Memorial Hospital, illustrates an important caveat about the treatment of endowment funds in a Federal bankruptcy: The principal of an endowment fund may be pulled into the bankruptcy estate so its income may be tapped to pay creditors. The [trustee] concedes that the bankruptcy estate may not claim an interest in any gift greater than that enjoyed by the [debtor charity before the filing of the bankruptcy petition]. [The trustee] agrees that the debts to which each gift is applied are limited to those for which the [debtor charity] would have been permitted to expend the funds had the Hospital continued its operations and not filed its bankruptcy petition. As to those gifts that grant the Hospital the use only of the income [i.e., donor-restricted endowment funds], the [trustee] makes no claim to the corpus of the gift. The result in Winsted is protective of donors’ interests, but it is important to emphasize that the bankruptcy trustee did not even try to claim the principal of the endowment fund for creditors. The bankruptcy trustee might have taken a different position, and the result might have differed in another fact pattern—for example, if the charity lacked clear evidence establishing donor restrictions or reliable records differentiating its endowment funds from other assets or if the charity had a poor history of abiding by donor-imposed restrictions on its endowment funds. The seemingly favorable result in the bankruptcy of the Philadelphia Orchestra is not the end of the story. According to press accounts, one major funder of the Orchestra—the Annenberg Foundation—was concerned early in the bankruptcy that an endowment fund it had created some years earlier might be tapped by the Orchestra’s creditors and claimed that it was entitled to the return of this endowment fund under the terms of the original grant agreement.Even though creditors did not reach the Annenberg endowment fund, the Annenberg Foundation insisted that this money be transferred to a corporate fiduciary and held in a separate trust for the benefit of the Orchestra—on terms that, among other things, limited the annual draw and provided for the endowment fund to revert to Annenberg in certain circumstances (e.g., lack of a balanced budget). The Pennsylvania Attorney General supported this move.An additional endowment fund for the benefit of the Orchestra was already held in a separate charitable trust when the bankruptcy began. It appears from the Orchestra’s Form 990 that the balance of its endowment continues to be held by the Orchestra itself. A consideration of the outcome in Winsted quickly raises other questions for which there seems to be no clear answers: If the income of an endowment fund is available to pay creditors in bankruptcy, who will determine what portion of the fund is income and what portion principal? Under modern endowment law, the amount available for expenditure is set by a board determination of what is “prudent.” It is not as simple as “interest and dividends” or “five percent per year.” But how would that decision be made in a bankruptcy? And finally, what would have happened in Winsted if the income from the endowment fund had been restricted to a particular purpose (e.g., paying for cancer care) and could not have been legally used for the charity’s “general expenses”? Certainly, the result and reasoning in Friends for Long Island’s Heritage seem to suggest a New York state court would honor donor intent on the use of endowment income, and the Bankruptcy Code contains a provision (cited earlier) that would defer to “applicable nonbankruptcy law” with regard to the bankruptcy trustee’s use of a charity’s assets. But there does not appear to be any Federal bankruptcy case that addresses the question. A donor concerned that a favored charity may find itself in financial jeopardy can consider a variety of alternatives. One is for the donor to impose clear, written limitations on both the purpose for which a donation may be expended and, if appropriate, on the extent to which it may be expended (e.g., a requirement that it be held as a perpetual endowment fund). Although the contours of protection are not altogether clear, especially in Federal bankruptcy court, this approach provides at least some basis for the charity—and perhaps the state attorney general—to claim that the donated assets (and possibly the income earned from them, if the income is restricted) are protected from general claims of creditors. The charity, in turn, should be certain that it has adequate books and records concerning its restricted assets, so it is clear which assets are legally restricted and separately identifiable, and that the charity itself has abided by donor requirements. A tempting alternative is for the donor to include a clause that his or her gift passes to another charity in the event the original donee organization dissolves, merges, or enters receivership or bankruptcy. At least in a Federal bankruptcy, there seems a high likelihood that such a clause would be attacked as violative of the general rule that ipso facto clauses (i.e., clauses triggered by bankruptcy itself) are not enforceable in bankruptcy. Certainly, it would be advisable that any such clause be accompanied by a clear statement of the purpose for which the funds must be used and, if appropriate, their character as endowment funds, so there are arguments for enforceability of the donor’s restriction beyond the mere fact of bankruptcy itself. Perhaps the most appealing alternative is a mechanism that will fund the desired charitable purpose of an organization without transferring assets to the organization itself. This could be done in a variety of ways—for example, by creating a private foundation or perhaps a supporting organization. But the most cost-effective way may be to create a fund structured in the gift instrument as either a designated fund or a field-of-interest fund at a community foundation such as The New York Community Trust. Either type of fund is an asset of the community foundation. A designated fund, as explained earlier, is one in which the donor identifies in the gift instrument one or more charities to be supported, typically for specific programs. A field-of-interest fund is one in which the gift instrument defines a purpose without identifying the grantee, leaving the selection of charitable recipients to the community foundation. In either case, the community foundation would have the power—commonly referred to as the variance power—to change the fund’s purpose if circumstances change, including if a designated grantee goes out of business, dramatically reduces its programs, or changes its focus. Because no organization would have a right to distributions from either a designated or field-of-interest fund, the underlying assets—the original gift and the income and appreciation earned on it—should be beyond the reach of any organization’s creditors. Happily, it is the exception and not the rule that financial hardship leads an organization to fail. But any donor who wants to support an organization that has a heightened risk of financial instability may wish to plan for that event—and consider that a fund at a community foundation might be an ideal vehicle for insulating a gift or bequest from the economic unsteadiness of a particular organization and preserving assets so they can continue to support the donor’s core philanthropic intentions, regardless of the fate of any particular grantee. Written by John Sare and David O’Connell, Patterson Belknap Webb & Tyler LLP. This material was developed for The New York Community Trust. It is published for informational purposes only and with the understanding that it is not legal, accounting, or other professional advice. A person seeking legal advice or other expert assistance should engage a professional. 1 Similar principles also are applied in not-for-profit mergers governed by New York law. 2 The term “principal” is used colloquially to refer to the portion of the endowment fund that is treated as not being wholly expendable on a current basis. interest, dividends and realized capital gains earned on the endowment fund. N.Y. NPCL Sections 901 et seq. (mergers), 1001 et seq. (non-judicial dissolutions).